D.C. is known for its breweries and distilleries. Now, the nation’s capital is cultivating a collection of wineries. City Winery opens this spring — and only half the focus is on wine. WASHINGTON — D.C. is known for its breweries and distilleries. Now, the nation’s capital is cultivating a collection of wineries. City Winery will open in Ivy City this spring, making the 40,000-square-foot operation the second urban winery to open in the last year. District Winery, located on the Anacostia waterfront at Yards Park and clocking in at 17,000 square feet, launched its program last August. Both concepts come from New York entrepreneurs, eager to capitalize on D.C.’s growing craft culinary industry. But Michael Dorf, founder and CEO of City Winery, also wants to tap into the region’s thriving music scene. 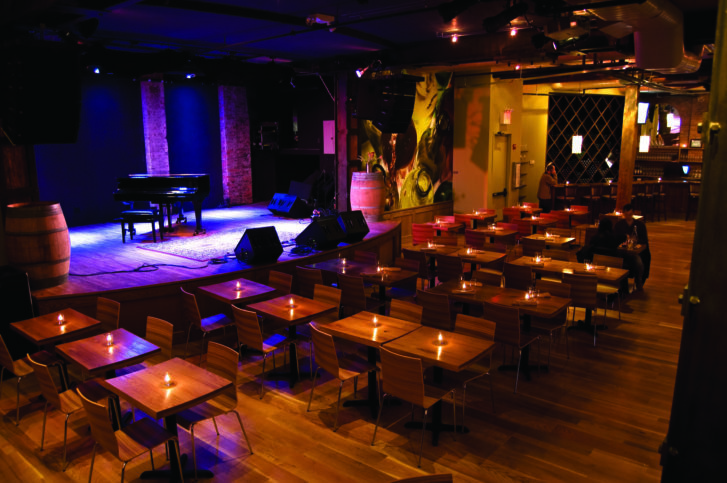 And so, unlike any other space in D.C., City Winery is part winery, part restaurant and part music venue. Dorf’s early career is best defined by The Knitting Factory, a famous music venue in New York, which he founded in his early 20s. After leaving the business in 2003, Dorf toyed with the idea of moving his family to Oregon’s Willamette Valley to make wine. Instead, he decided to bring winemaking to Manhattan. “I got nervous about the idea of making really good wine in the middle of Manhattan — how was I going to really sell it?” Dorf said. He decided to “mash it up” with what he already knew — live music — and then catered the experience to a “more sophisticated,” wine- and music-loving audience. It worked. Now, City Winery has five locations, including outposts in Chicago, Boston, Nashville and Atlanta; D.C. will be Dorf’s sixth. “And we’ve really become an anomaly in the wine industry,” Dorf said about City Winery’s unique offering. The D.C. location replaces the former Love nightclub on Okie Street in Northeast, and houses a restaurant, a bar, a 300-person seated entertainment venue, a private event space, and a few roof decks — all spread throughout several floors. There’s also ample space for winemaking. The venue is still under construction (Dorf is repurposing as much as he can from the former occupant, but new floors, windows, lighting and acoustics were needed), but Suzanne Vega is on the schedule to perform on April 29. Bob Schneider, Patty Smyth and Joan Armatrading are also on the calendar of upcoming events. As far as the wine goes, Dorf sources his fruit from vineyards out west and cold-ships them to his eastern locations. “And then we’re making wine just like you would out in California, but here right on premise,” he said. Most of the wine — in fact, 70 percent of it — never sees a bottle. When the product is ready for consumption, it’s moved to stainless steel kegs and put on tap. “So it becomes a very environmentally friendly way to serve wine, very efficient from an owner’s standpoint — there’s no loss,” Dorf said. In October 2017, D.C. welcomed another new music venue, The Anthem, which is a project from the 9:30 Club’s Seth Hurwitz. Dorf, who is friends with Hurwitz and even “sought his permission” before expanding to D.C., said his venue fills a need different from what The Anthem and others like it offer. City Winery is a more intimate experience. “It’s a great music town, it’s become a great culinary town,” Dorf said about D.C.